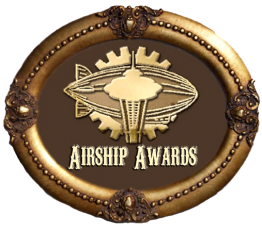 Xerposa is the blog that gives steampunk fans what they need – a place that gathers fashion, art, literature, and the latest genre-appropriate costumes and gadgets all in one place. Our articles feature the newest up-and-coming movers and shakers in steampunk, as well as the latest in gear, clothing, games, bands, and electronics. Read More. So feel free to check out their content, and follow them on Twitter, Facebook, and Google+.